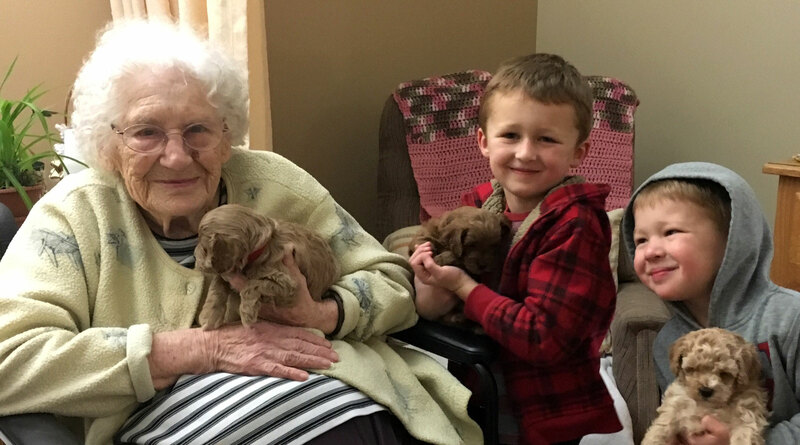 Friendly visitors bring smiles of joy to our residents. Several host/hostess positions are open in the Wheat Ridge Personal Care Dining Room from 5:15 to 6:00 p.m. There are several openings on Tuesday, Wednesday, Thursday, and Sunday from 4:00 to 5:00 p.m. for volunteers to refill resident water pitchers with ice and to assist residents with meals. We can always accommodate Friendly Visitors who can spend time with residents visiting, playing games, reading to those who are vision impaired, or writing letters for them. Below is the a .pdf file of our Volunteer Application. The application may be saved to your computer, printed, filled out and mailed to the Volunteer Coordinator at Fairmount Homes. If your computer is unable to open .pdf files, you can download Adobe Reader for free.